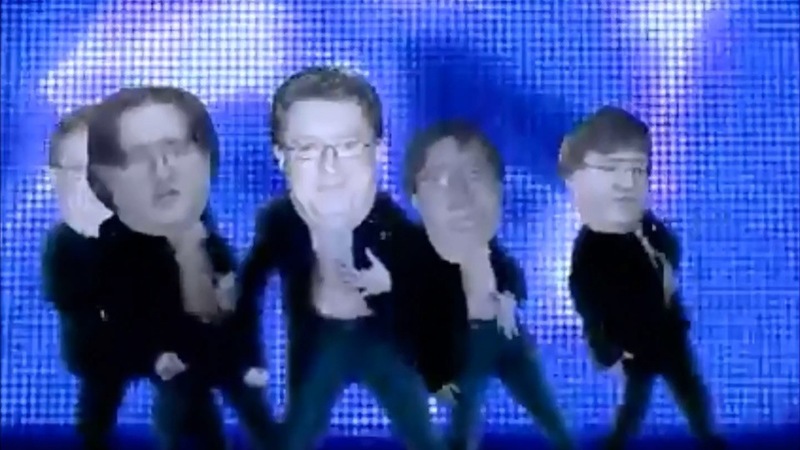 The internet has a great love affair with Gabe Newell, who it affectionately calls "Gaben". Love posters, love emails and love collages of Gaben have surfaced with a somewhat awkward frequency. This video might be pushing the boundaries of "playfully awkward", but in the best, most hilarious of ways. The facial expressions are surprisingly well-suited to the dancers and their movements, too. Gabe is known for a very embracing, positive attitude to his fans'... endearing behaviour, so hopefully he enjoys this video as much as I did.